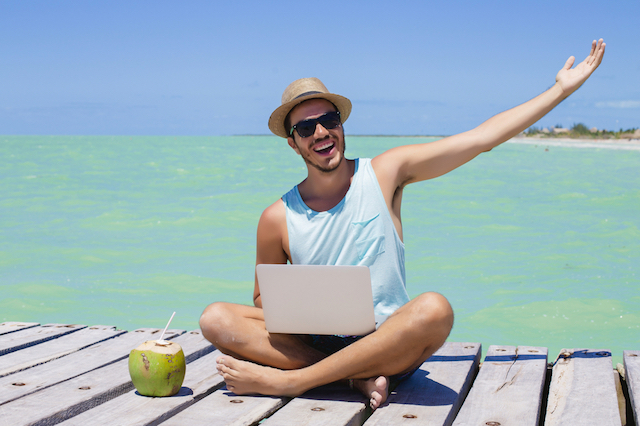 What is a digital nomad? And how can I become one? “I work as a digital nomad, travelling the world while working on my laptop.” Is usually the best answer that I try to give whenever someone asks me what I do. I try to elaborate and say, “I earn an income online from my web business.” And then it starts to make a little bit of sense, but for the majority of people, they won’t have a clue and will smile and nod politely. The ones that do get what I do often jump in and start telling me how much they would love to be able to do that. The thought of travelling to the beaches of Thailand and working from the bar overlooking the sand and the beach is attractive. But when I actually tell them that they can actually do it, people start to pull back and make excuses like, “I’ve got a mortgage, I’m too settled or what if I don’t make enough money?” These are all valid reasons and I would never encourage someone to do something that they never wanted to do. If this is sounds like a lifestyle that you would enjoy, then read on my friend. Because I am going to tell you about the digital nomad lifestyle. A digital nomad is a person that earns an income online while travelling. Usually, the work involves being connected to the internet and conducting services or commerce in exchange for an income. As long as they have a connection to Wi-fi, they will be able to work and earn an income, regardless of their location. How can I make money online as a digital nomad? You can check this list of digital nomad job sites to find examples of the type of work that is on offer. The amount of money that you can make differs based on the type of work that you do. For example, you might do a data entry job that pays $7 an hour. Alternatively, you might be a computer programmer that charges $50 an hour for a job. Your earning potential will also impact the quality of life that you can expect to have as a digital nomad. But as a rule of thumb, the minimum income you should aim for is $2000 USD per month. What can I expect as a digital nomad? Living as cheaply as possible will allow you to easily fulfil your dream as a digital nomad. However, different people have different expectations when it comes to lifestyle. A person that chooses to live on the cheap in a shared dormitory isn’t the same as the person that wants to live in nice hotels. So before you start your adventure as a digital nomad, you need to know what kind of lifestyle you want to live. 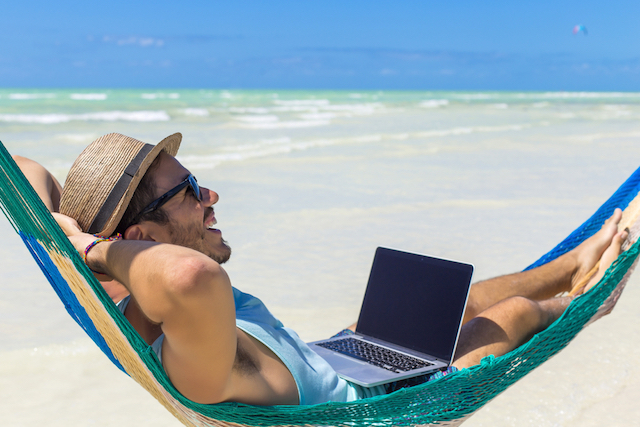 What are some of the advantages of being a digital nomad? One of the best things about travelling as a digital nomad is being able to do long-stay travel. If you have ever wanted to travel through a country and take in the culture or stay long enough to learn the local language, then a digital nomad lifestyle will provide you with the opportunity to do so. You will get to take advantage of cheaper travel options. Typically, long-stay travel allows you to take advantage of economies of scale pricing and cheaper travel options. For example, you will only need to purchase a one-way plane ticket from your country to the country that you are visiting. You can then take advantage of local bus, train, boat or airline travel, which is usually much cheaper to purchase and will allow you to do more travel. You can click here to start comparing one-way ticket travel destinations. Accommodation rates tend to be cheaper. Additionally, you can take advantage of long-stay rental rates. Instead of paying expensive hotel rates every night, you can rent a room, apartment or house and take advantage of discounted long-stay rates. You might even find opportunities for housesitting where you can get accommodation for free! You can get around cheaply with local taxis, Uber or your own private transport. Should you quit your job to travel and work anywhere in the world? If this is what you want to do, then I believe that you should go for it. But I think you should have a plan of attack for achieving your digital nomad travel goals rather than jumping straight into the deep end of the water and being in a sink or swim scenario. Develop a skill, product or service that you can sell to earn an income that will allow you to live as a digital nomad and become location-independent. I’d recommend getting something up and running before you head abroad, but people have succeeded when they have jumped into the deep end. You can get some guidance by signing up to the Lollivia newsletter or register for one of our future courses or ebooks. What I would say is quit only when you feel ready (your gut feeling should tell you this) and then start your next adventure. Click here to learn more about becoming a digital nomad.